Another project by the developers of Clermont Green (townhouses), St. Lawrence Beach Condos (beachfront condos) and Boarded Hall Green (condos & townhouses). ? 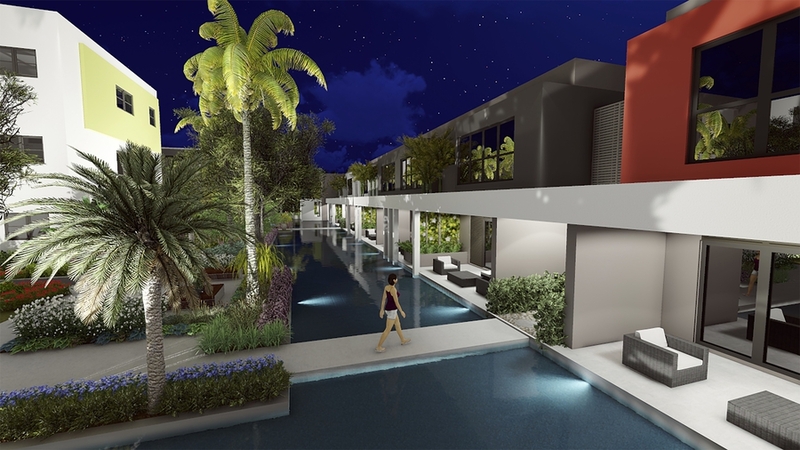 An exciting new condominium gated development in a quiet location, yet right in the heart of Barbados’ South Coast entertainment district, close to Dover and Accra beaches, shopping, restaurant, services, transportation and nightlife. 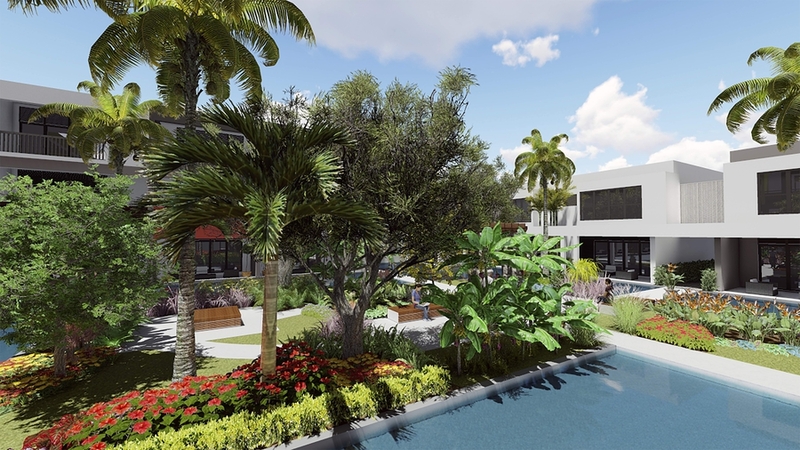 The 1, 2 and 3 bedroom units all face inward to a “water garden” – a large reflecting pool, combining tranquility and natural beauty – with communal, landscaped “islands” within the water garden. Air conditioned bedrooms, solar heated water and modern kitchens. (Option for additional air conditioning units and appliances). Some amenities included, a gym area, overlooking the water garden, underground utilities, onsite management and night time security personnel. This development will have wide appeal as: A short-term rental property, earning rental income in foreign currency. A long-term rental property?and a vacation home in Barbados. ?A modern, affordable home in a desirable location. ? Payment by installments during construction. ?Project commenced : January 2017. Estimated completion date: October 2019. Floor Area: 729 Sq. Ft. Floor Area: 719 Sq. Ft. Floor Area: 1,261 Sq. Ft. Floor Area: 1,267 Sq. Ft. Floor Area: 1,292 Sq. Ft. Floor Area: 1,492 Sq. Ft.